Thanks to a valued reader!! 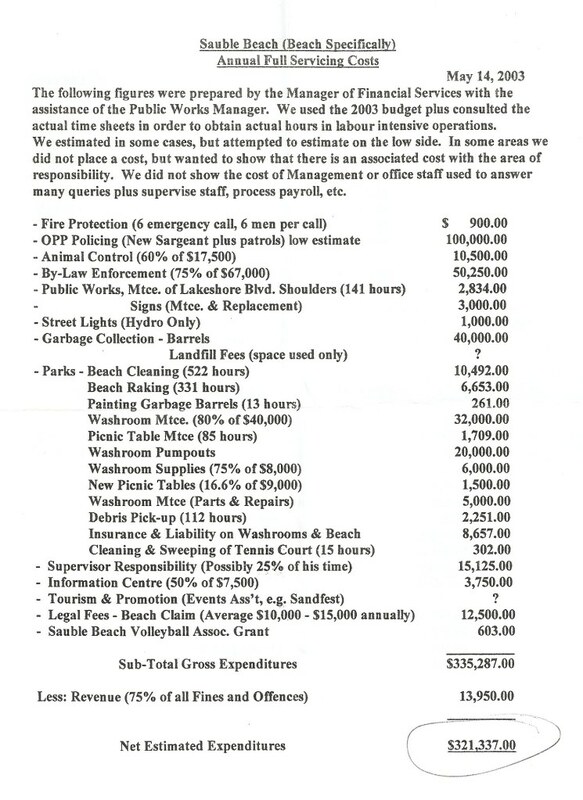 hmmm, back in 2003 the TSBP was spending $10,000 to $15,000 on the Sauble Land Claim? What’s been the total money’s spent to date as a budget item from all past Councils? Where are the updates from past councils regarding the claim? There should be progress reports every year that someone has that should not be “confidential”. Come on past councilors that are running now, you all know something so spill the beans. What’s the story? Tell us about the Gilbert contingent that met in Goderich. Ana? Betty? Dan? Working on getting a total spent to date. It seems that the law firm involved has been paid since 1995 or there about’s. The Amabel numbers are harder to find and the exact amounts seem to be just as difficult but loosely speaking at this point, you can figure something in the area of $500,000.00 has been spent. I am attempting to get real numbers but this has some challenges.